NJ Sports House & First Shot Soccer present Little Tikes Indoor Soccer for Kindergarten boys and girls. This 8 week clinic introduces children to the fundamentals of soccer including dribbling, passing, shooting, and the basic rules of the game. Children will also develop gross motor skills and social interaction all while having fun! 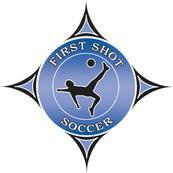 First Shot Soccer is a recognized leader in the development of youth soccer in northern New Jersey for over 25 years. We are a full-service training academy which offer various training programs, camps, indoor winter training, private training, small group training and high school mini-camps all year-round for boys & girls ages 3-19. Our players are easily recognized for their high skill level, game strategies and sportsmanship, all while having fun! Even our youngest, beginner level players are noticed demonstrating First Shot Soccer technique!